This is the second post on the current debate on regional flexibility markets. In our last post we have introduced the models that are currently discussed in the SmartNet EU project. These models give quite a good overview of the direction of discussions in Europe. With today’s post, we want to add the German perspective to this discussion. Though the general challenges and drivers for regional flexibility markets are the same in Germany as they are in other European states, the German models differ to a certain extent from the models discussed in last week’s post. Why do we discuss regional flexibility markets? For those who haven’t read last week’s post, let’s briefly recall the general driver for the discussion of regional flexibility markets. If you have read that post already, just skip to the next chapter. With increasing shares of renewables, the current electricity system is operating at its limits. Most countries apply balancing markets to secure system stability. So far, the transmission system operators in the EU (or Independent System Operators (ISO) in the US) were able to secure system stability by relying on the capacity covered on the balancing market. However, in the case of Germany, we can see today that due to the already significant share of renewables in the system, the TSO have to apply non-market based measures to secure system stability. As discussed in this post, the TSOs increased their application of congestion management, the application of redispatch and feed-in management, significantly in the last two years. Especially in the case of feed-in-management, we can expect that the current increasing trend will continue within the next years and that similar developments will take place in other countries and US states. b) network operators (both the TSO and the DSO) get access to local flexibilities via regulated or market based price incentives for the local flexibilities. How we could achieve both aspects is currently discussed in the US, Europe and especially Germany (as we have already high costs for congestion management in Germany at the moment). In the following, we sum up the German debate on potential solutions to the coordination between TSOs, DSOs and flexibility providers. In Germany, the discussion goes into a similar direction as the one pointed out in our last post where we summarized the discussion of Gerard, Rivero & Six (2016) for the European dimension. However, the German discussion focuses not only on regional market approaches, but also on regulated quota models as described by Nabe et al. (2017). First, let us take a look at the quota models. The basic idea behind quota models is that the network operates directly and communicates with flexibility providers about the network constraints relevant for the specific location of the flexibility. To understand the German discussion, it is useful to look at two different quota models found in Nabe et al. (2017) which are supposed to unlock local flexibility potential. In a voluntary quota model the network operator defines the maximum load or feed-in from distributed resources (based on detailed forecasts) and directly communicates this quota with the resource. The operator of the flexibility resource then can decide whether or not it wants to limit its production or consumption according to the quota on a voluntary basis. Fulfilling the quote potentially reduces the income of the distributed resources from market activities. Therefore, if the distributed flexibility sticks to the quota, the network operator compensates the resources based on a regulated incentive scheme (e.g. a regulated compensation fee). The network operator could either pay a fixed compensation fee for all flexibilities that stick to the quote, or could even establish a differentiated compensation fee based on the generator’s influence on the potential congestion. Basically, the voluntary quota model is a variant of the voluntary curtailment agreement that was introduced in 2011 by our colleagues. Though the voluntary quota model seems to be a very simple solution, it creates potential inefficiencies that are likely to increase the costs of the integration of renewables. Nabe et al. (2017) stress many different challenges for this system. Here, we just want to point at one aspect that seems to be very relevant from our perspective and that applies to all regulated models. A regulated compensation price for voluntary curtailment is not likely to match actual marginal costs of the curtailed resources, especially if the different curtailed resources don’t have a homogenous price structure. Therefore, the regulated prices are likely to be inefficient. In addition, the quota would probably need to incorporate significant safety buffers (especially if the quota is defined day-ahead for larger resources like wind energy which are difficult to predict) which increases costs. These costs increase with meshed grids (like medium voltage grids), where the calculation of the quota can become a complex task, especially if different sensitivities affect each other. On the positive side, the regulated prices in the quota model exclude the misuse of market power. It is simply not possible to increase prices above the regulated level. The second quota model discussed by Nabe et al. (2017) is based on the first model, but the quota here is binding. Therefore, if the DSO calculates that a congestion will evolve in a certain network line, the DSO defines a binding quota for the network users in that specific network area. While the network users have to accept that quota, they have the possibility to trade unused production within the quota with other resources. Basically, what happens is that one network user, e.g. a battery storage operator, is assigned a specific quota to feed-in electricity from the battery to the grid. However, the battery might not be charged at that moment, so the operator does not need the capacity assigned by the quota. The battery operator then can enter a secondary market (e.g. a local market platform) to sell this capacity to other users in the same grid area that would like to feed in more electricity to the grid than they are allowed to by their own quota. Though this secondary market could be operated by third parties, it is important that the network operator has full information about the traded capacity to implement these changes into its forecast to avoid new congestions. This quota model shares most pros and cons with the voluntary quota model. However, the additional market mechanism via the secondary market offers the potential to achieve prices below the regulated compensation fees: with enough competition, marginal cost pricing might become possible as well. Liquidity should be high, due to the fact that the quota model is binding. In addition to the two quota models, Nabe et al. (2017) discuss four different regional flexibility market models. We will briefly introduce them and show the similarities and differences two the five models discussed by Gerard, Rivero & Six (2016). The basis of the cascade model is a regional market for flexibilities with the DSO being the single buyer. Therefore, the cascade model is (to a certain extent) similar to the local AS market model discussed on the European level (for details see here), but with the important difference that the cascade model applies regulated tariff design while the local AS market model is based on non-regulated free price setting. The core idea of the cascade model is that the DSO can use a local platform (not a market) to identify the potential resources to address congestion. The selected flexibility resources are then blocked for the participation at the central reserve or balancing market and the selected flexibility resources receive a regulated compensation for their potential losses. The level of compensation could be aligned with the prices at the central balancing market. While there could exist one flexibility platform for each network operator, the cascade model suggests that one platform covers several network operators to reduce costs and increase liquidity. Larger DSOs could perform the flexibility procurement for smaller DSOs that are connected to the larger DSOs’ network (e.g. small municipal network operators that only operate the network in their municipal and are connected to another DSO and not to the TSO). Thereby, the larger DSOs would fulfil the function of an aggregator for the TSO, as it is described in the local AS market model in the European debate. The cascade model applies regulated price setting. Therefore, the efficiency of this model depends on how well the regulated prices reflect the actual costs. If prices are aligned with the prices at the national balancing market, it is not likely that local costs are reflected accurately. Still, using the market prices at the national balancing market might provide a better approximation of the actual costs than other non-market price setting mechanisms. In this model, the central balancing market is extending to the distribution grid level. The TSO operates the central balancing market which offers information about the flexibility potential and the location of a distributed resource. The DSOs get access to the central balancing market and contract flexibility for their network operation. The DSOs must inform the TSO about the contracts at the central balancing market so that the TSOs can incorporate these changes into their own forecasts. After prequalification every distributed resource is free to participate in the central balancing market, but is not required to do so. Basically, this model is an adaptation of the existing balancing market in Germany that would incorporate locational information and would be open for the DSOs for their congestion management as well. This model is another variant of the Common TSO-DSO AS Market Model discussed on the European level (for details see here). More specifically, the Regional reserve MarketPlus model applies the central market approach that is defined by variant A of the Common TSO-DSO AS Market Model, but leaves the operation of the central market solely to the TSO. All other aspects of the models are quite similar. Basically, this model results in a local merit order for flexibility, which could lead to more efficient price setting than regulated prices. However, the efficiency of this model heavily depends on the level of competition: Only if liquidity is high and market power can be avoided, prices will reach an efficient level. Whether or not enough competition evolves depends on the specific location of the congestion. Generally speaking, if the congestion is on the medium voltage grid (e.g. due to high wind shares), there is a chance that a local market reaches enough liquidity to produce efficient prices. On the other hand, the lower the voltage level of the congestion, the lower the possibility for liquidity, simply because there are less resources connected to the voltage level that could offer flexibility. Basically, this market solution would add a locational information to the bids at the central spot market. The network operators would compete with all other market parties for flexibility. 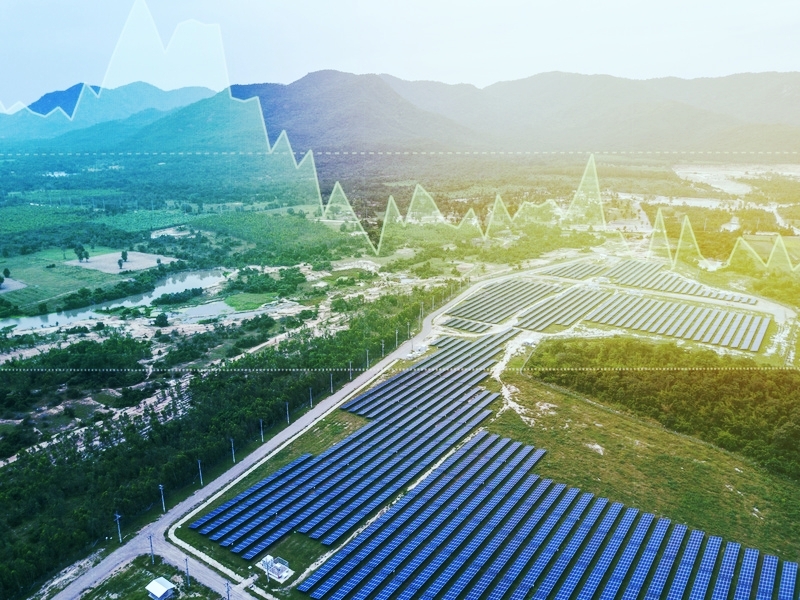 Both, TSO and DSO could use the flexibility traded on the spot market to address congestion on the transmission (TSO) and distribution grid level (DSO). The spot market would be operated by a third party, e.g. the existing tradition platform EPEX. Prices would not be regulated, but the competition at the spot market would result in locational differentiated prices in Germany, which is not a novum, but a deviation from current practice. The Regional IntradayPlus market is a concept that has no equivalent in the European discussion as presented by Gerard, Rivero & Six (2016). Therefore, instead of comparing with a European model, let us briefly discuss the strengths and weaknesses of this concept in some more detail. While this model could gain from competition, there are several challenges associated with this approach, too. One primary challenge stressed by Nabe et al. (2017) is the risk of market power and the potentially increasing costs for the network operators. Especially the risk that traders learn how to influence network congestion and that these traders use this information to create congestion by intention to raise prices seems to be very high. Even if this risk can be addressed, adding a locational element to the spot market will result in many different price zones in Germany. While having many different price zones might be favourable from an economic perspective, the political implications should not be underestimated. Furthermore, only with high liquidity will this model result in lower prices than does the current procedure of RES curtailment. Nabe et al. (2017) also point at the huge challenge to achieve liquidity on a local level, especially if decentralised solar PV is driving the congestion on the distribution grid, where the solar PV itself might be the only available flexibility. While this might change with more decentralized applications on the distribution grid (like electric vehicles, small battery storage etc. ), it is a major obstacle for the time being. On the other hand, if the market power issue can be addressed, this approach might be applicable at least in those regions, where wind farms are the primary sources of congestion. This is because the wind farms feed in to the medium voltage level, where more potential flexibilities are available than in the case of small solar PV. The idea behind this concept is to introduce a new and independent platform to the energy system on which distributed resources offer their flexibility for congestion management only to the network operators. Thereby, it constitutes a single-buyer system. Either, the reserve and the congestion management market are operated independently, with the TSOs being responsible for the reserve market and a new third party for the congestion management platform. Or, both markets are operated together, which would increase liquidity. In many respects, this concept equals the Regional Reserve MarketPlus. Therefore, the pros and cons of this model are basically the same as the ones for the Regional Reserve MarketPlus model. In general, the discussed market-based approaches are more likely to achieve efficient price levels to address congestion on the distribution grid level via flexibility. Therefore, these systems seem to be favourable from an economic perspective. However, this only holds true if we can secure enough liquidity and limit market power. Liquidity might not be the primary issue in case of congestion from wind energy, which for now is the key driver for congestion management in the northern part of Germany. Still, especially for more distributed congestion on the lower voltage grids, liquidity might become the key issue for market-based approaches. Though the trend towards decentralization and new applications like electric vehicles, heat pumps, air conditioning and battery storages might increase liquidity even on the local level, the efficiency of local market signals will vary between the different conditions at the specific location of the congestion in the network. It seems that especially models like the Regional IntradayPlus market might offer a solution to the liquidity problem, but this needs more detailed investigation. Additionally, the dimensions of market power will have to be addressed in further studies. So far, it is not clear how significant the market power problem will be, but it seems evident that the potential for misuse of market power increases the higher the regional resolution of the price signals becomes.